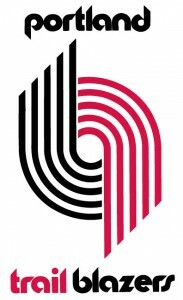 If one could pinpoint the onset of Blazermania, an argument could be made for the second to last regular season game of the 1976-1977 season. On April 8, 1977, the Trail Blazers faced the Phoenix Suns at the Memorial Coliseum in front of a sell out crowd, defeating the Suns 122-111. That sellout, the 17th of the season, marked the beginning of an 18 year long string of sellouts, which didn’t end until November 20, 1995. Of course 1977 was the year of a healthy Bill Walton and an amazing Portland Trail Blazers team that went on to win the franchise’s only NBA championship. Portland is a small market team that could.